My Website will INSPIRE women and men to develop a personal style of their own, which will also become timeless. The site is non-commercial. All the texts are written by me, from my own experience. I have a Gallery of Personalities and I'm doing a style analysis each week of a person I choose. From my niece in London, my Facebook friend. She has a friend in Sweden who told me about Sandvox. I had done a website in HTML when I studied to become a Librarian in 1996. I thought it was too time consuming - so I decided to find an easier way to do it. But I didn't like the Bloggers program like Wordpress that I'd use on my work lately. I do LOVE it. It has all I need. Nice layouts, easy to download, easy to embed pictures and videos, other websites etc. It works well with the host, I can update on a daily basis whenever I like. Sandvox has a good tutorial page and the emails I get now and then with suggestions are fabulous to read. 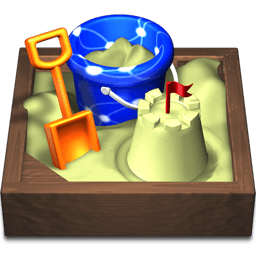 Sandvox is well structured and appeals to my way of thinking. Logical, easy, and fast!